Home Africa, Diplomacy, English, Eritrea, Ethiopia, Opinion, PM Abiy Ahmed Opinion: Ethiopia’s move to cede Badme to Eritrea: a bargain chip for the Assab question? Opinion: Ethiopia’s move to cede Badme to Eritrea: a bargain chip for the Assab question? Disclaimer: The views and opinions expressed in this article are that of the writers’ and do not reflect the editorial of Addis Standard. 1. The Ethio-Eritrea conflict: W(h)ither Badme ? The Ethio-Eritrea conflict marked the 20 year anniversary on May 2018 though it is in the sulk of no-peace-no war. (see here, and here) After the aftermath of the war, the belligerents were moved to the Hague for an international arbitration. This piece does not delve into the causes-consequences analysis of the conflict nor verifying to whom Badme belongs to rather it aims to shed some light on the recent move of Ethiopia— ceding the flash-point of the conflict—Badme, to Eritrea. Thus, the writers want to unravel how ceding Badme would ease bilateral tensions, and break the sanction(ed) discourse over the question of Assab. In doing so, we would unpack whether Ethiopia (re)write the governing narratives over the question of Assab or end up with déjà vu state of play. Drawing on the International Court of Justice (ICJ) in the case between Bolivia v. Chile in 2015, we would like to offer some wayouts on how the obligation to negotiate in good faith over contested seas under international law workout in claiming Assab. 2. The Road to Algiers: a legal cul-de-sac? Turning into the Algiers agreement, we detect the (in)aptness of Ethiopia’s decision in opting out the peace deal to settle the boundary dispute with Eritrea after the devastating war that (from May 1998 to July 2000) claimed at least 70,000 to 80,000 lives and wrought colossal destruction in both countries. (see here, here and here) Were there compelling circumstances which push Ethiopia to sign the Algiers Peace Agreement and were the contents of the Algiers Agreement crafted in a way to preserve Ethiopia’s national interest? These questions have been raised at the negotiation phase of the Algiers peace agreement as well as during public opinions after the controversial pronouncement of the Boundary Commission arbitral award, which made the Badme as an Eritrean territory. Losing Badme through the decision of the Boundary Commission is taken as a disgrace to Ethiopian youths who have given their lives for their sovereign country. How could a country who won the battle lose its territory through the arbitration? This has become a baffling question of Ethiopian people till today. Succinctly, the Algiers agreement is a controversial deal on the following grounds. First, there was no compelling circumstances which forced Ethiopia to conclude the peace deal over the boundary issues since it has re-occupied its territory through military victory. Installing such a steadfast Boundary Commission for resolving a territory which once became in the hands of the victorious State was never justified on the side of Ethiopia. This solution was comprehended as a major mistake, from which virtually all subsequent problems were seen to emanate by many observers, and certainly by the Ethiopian public at large. Second, instead of establishing a Boundary Commission—working under the auspices of the Permanent Court of Arbitration (PCA), the ICJ could have been proper venue to settle both the boundary dispute and claims associated with the armed conflict. Third, the Algiers Peace Agreement was crafted to the detriment of Ethiopia as it revitalized the dead-colonial treaties to govern the boundary claims between the two countries. The colonial agreements have been officially declared null and void specially when Eritrea was a confederate, which later became a territorial part of Ethiopia during the reign of Emperor Hailesilassie. It was an inexcusable mistake committed by the Ethiopian government while it agreed to settle its boundary dispute based on the 1900, 1902 and 1908 colonial treaties. Fourth, the Boundary Commission was barred from making decisions on the basis of ex aequo et bono, a decision on the basis of ‘what is right and just.’ Such exclusion resulted in the dependency of the Commission only on the colonial treaties and maps delineated by the colonial powers to decide the whereabouts of Badme, and in turn, limited the Commission to embrace a nuanced interpretation of laws. Fifth, there could have been an opportunity to rectify the arbitral award had the parties not been agreed on the finality of decisions given by the Boundary Commission. In other words, Parties have inserted a clause that outlaws an appeal and accepted the decision as “final and binding”. Due to such agreements Ethiopia’s attempt to correct its mistakes has unfortunately failed. The final problem is related to representatives’ mala fide in providing evidence to support the claim of Ethiopia over Badme. As the decision of the Commission reveals Ethiopian delegates did not provide relevant documentary evidence to oppose Eritrea’s claim over Badme. Overall, Ethiopia’s footpath to Algiers was a legal cul-de-sac and historic clanger committed on the sovereignty and territorial integrity of the Country. 3. Ceding Badme to Eritrea: Abiy’s epic or villain move? 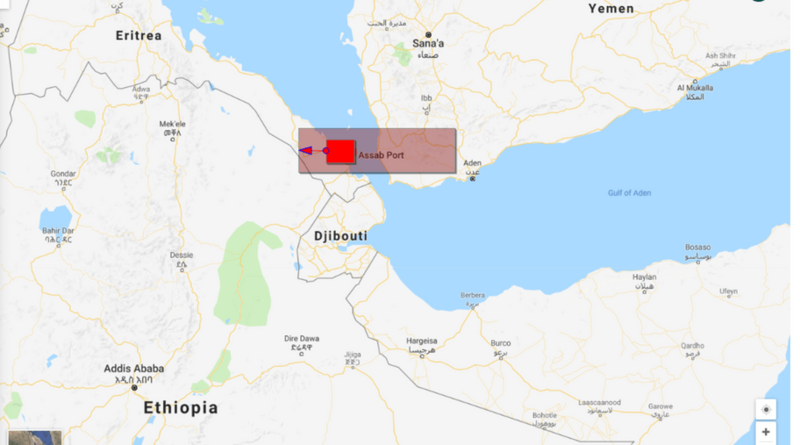 Despite the prior mistakes committed by the ruling party—EPRDF while opting for the Algiers path to settle the boundary dispute, the Ethio-Eritrea Boundary Commission (EEBC) has passed its arbitral award within the mandate vested in it. Among other things, the commission renders the contested Badme to Eritrea. In April 13,2002, Ethiopian officials heralded in the victory both at the battlefield and Court room, though it was a bizarre move. Due to the symbolic significance, the Ethiopian government has refused the implementation of the decision for about 16 years. Since then Ethiopia and Eritrea are in the state of no peace no war status. The decision of the ExeComm of EPRDF and the position of the new primer received mixed reactions from the elites and the public. Those who support the decision of the ruling party to implement the award avowed that – to have a perpetual peace between and among the peoples of the two countries, the decision taken by the ruling party is taken as an epic success. They added that as the premier expressed his determination to create a lasting peace with Eritrea in his acceptance speech before the Ethiopian Parliament, his decision is taken as a practical (re) affirmation of his words. Critics said that the Algiers Agreement is a peace deal made without the consultation of Ethiopian peoples. They instead opted the continuance of the deadlocked relationship between the two countries. The writers argue that although at odds with the ruling party’s faulty stride to settle the dispute via an arbitration, the current move of the premier would rewrite the narrative of sanctioned discourse over many issues, including the Assab question. Thus, Abiy’s move is an unprecedented compared to EPRDF’s longer defiance to the arbitral award of the boundary commission. His position in handing over Badme to Eritrea would, however, be judged on the benefits that Ethiopia will earn reciprocally. Indeed, ceding Badme apparently seems a bargaining chip for Ethiopia. Besides, in early June 2018, the Ethiopian government has announced to modernize the national navy and build modern army, which in turn resonates, access to the sea and ports would be inevitable. As such, ceding Badme to Eritrea might open a room for negotiation on unsettled issues, inter alia, the question of Assab. Drawing on Yacob Hailemariam findings on ‘The question of Assab’, Ethiopia’s hope to claim Assab is so somber but not moot altogether. 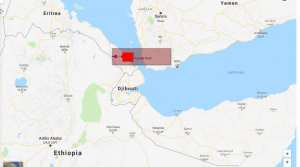 As the scope of the piece restricted us to make a detailed analysis on how to reclaim Assab, we have offered few way outs. First, economic integration could be one possible way out. Indeed, if two countries, once again, managed to go for a free trade area, a customs union, a common market, an economic union, or a complete economic integration, then things would be laid-back. Aside to that, the recent Kigali Declaration on the African Continental Free Trade Area may signal that the two countries would (re)approach inter se. Given the previous experience of (re) union, and being emerging economies, this scenario would be hard to bear fruit forthwith. Second, prior to the war with Eritrea, the UN General Assembly affirmed Ethiopia’s access to sea rights in its Resolution 289(IV) 1949. Third, a holistic approach of the doctrine of Uti Possidetis juris (keep what you had) and the principle of self-determination the Afar People living in the Red Sea would be used to defend sovereign access to the sea. Finally, on the basis of the recent ICJ jurisprudence in Bolivia v. Chile case, the obligation to negotiate in good faith under international law could best served in the matter of Ethiopia and Eritrea too. The post Opinion: Ethiopia’s move to cede Badme to Eritrea: a bargain chip for the Assab question? appeared first on Addis Standard. 1. Giving away Badme to Eritrea is not the PM’s decision. 2. Ethiopian people has to decide. 3. The PM’s responsibility is to protect the border, not to sell the border. 4. Giving Badme to Eritrea doesn’t bring peace between Ethiopia and Eritrea.